Have you ever watched your toddler fall asleep on the couch and wondered how it would be if he or she had an individual space that was comfortable, well-made, and could be moved to any room of the home? 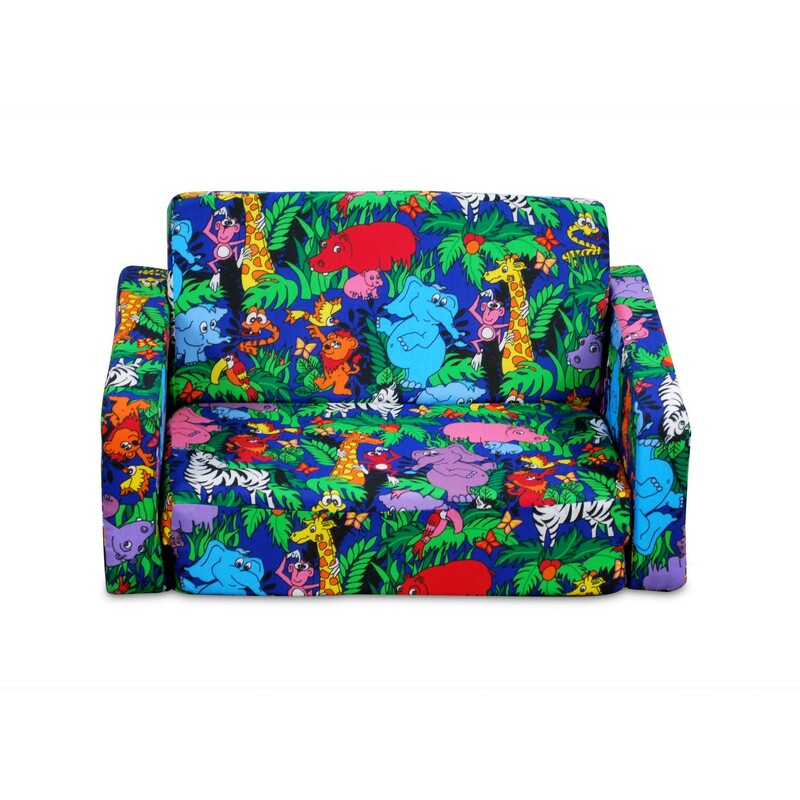 Now, you can have all this with our Tot Sofa in Jungle print! 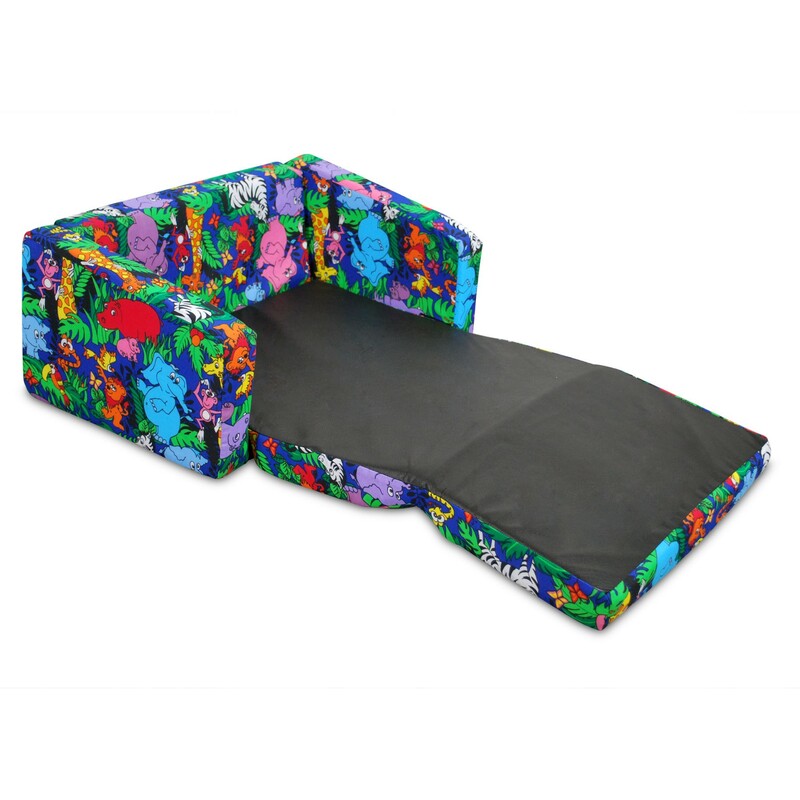 This unique child seating combines a foldout bed, lounger and sofa all in one versatile and durable piece of furniture that will put an end to your child seating issues. This toddler sofabed includes its own carrying case and can serve as a child sofa for watching television or a sofabed for overnight trips. No assembly is required; just pack it up and go wherever you like. Your child will love having his or her own special seat and will enjoy the comfort of this sofa that is designed just for little ones. 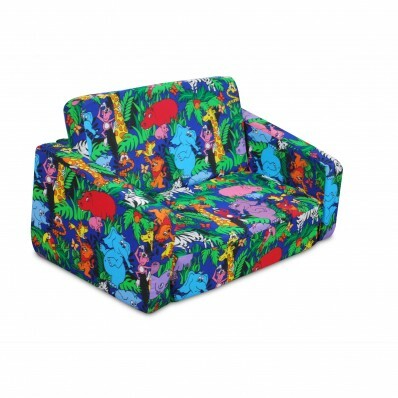 This piece is a great addition to any child’s furniture collection.